Won at least 20 games in five seasons with an intimidating power-pitching approach and a willingness to come inside with it. 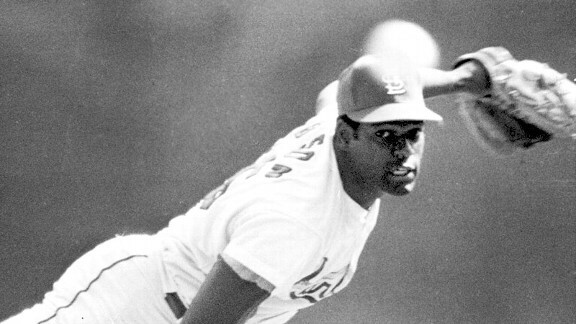 In 1968, Gibson went 22-9 with a 1.12 ERA that included a 95-inning stretch in which he allowed only two runs. Tim McCarver called Gibson the luckiest man in baseball because "he is always pitching when the other team doesn't score any runs."